When it comes to repairing business PCs and laptops, PC Innovation Computers has the experience you can trust. We have the largest inventory of PC components in the Western United States and we are confident that we can help repair your business PC and laptops. As much as we try and stop it, computers can need repairs somewhere down the line. Like a finely tuned car needs checkups to keep running smoothly, so does your computer. A lot of businesses don’t realize that dust and other particles can make your computer sluggish. Computers need air to breathe and run effectively, and many business owners stick theirs under a desk and the fans are jam-packed with dust and particles. With all the dirt and dust that flies around in the air, you can’t afford to let that slow your computers down. PC Innovation Computers has the largest computer parts inventory to help replace certain parts instead of replacing your entire computer. 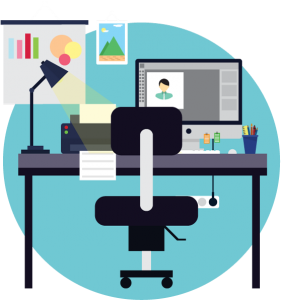 Simple PC repair can help save money for your business and we can help get you back on track without skipping a beat. If you are looking for laptop repairs, our clients rejoice! We understand that many people (including students) rely heavily on their laptops for their day-to-day tasks. Viruses can slow your laptop down, and many people have broken the screen to their laptop and need repairs quickly so they don’t miss a beat with their studies. We offer the parts to fix your laptop and laptop screen repair when it gets damaged or broken. No matter what your business does, we can help build the right computer for you. 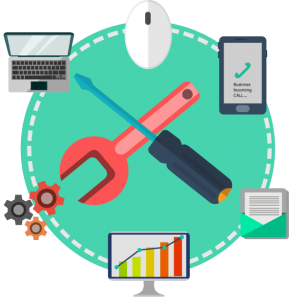 We have all the parts in our inventory so we can build your computer system to the specific needs of your business. Having your computer system built specifically for you will feel amazing and make the stress that comes with owning a business a little easier to handle. As your business grows, so will the threat of people trying to steal from you. Hackers look for anything to take and will go at great lengths to get what they want. 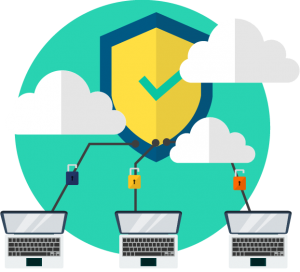 Would it make you feel more at ease if you have protection against those threats and have your files backed up on cloud storage? Of course you would! Get the protection and back up your business needs. With PC Innovation Computers, you’ll receive system security control, preparedness, and backup. With these services, you’re ensuring confidentiality, integrity, and availability. We are your local resource for business PC repair, custom building, security, laptop screen repair and much more. 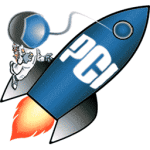 To get your computer system off and running with PC Innovation Computers, call 435-656 1975 today.